Easy Fix Garage Door Repair is a leading garage door company for installation and repair in Scarborough and surrounding areas. Using the latest technology, styles and trends and our relentless pursuit for customer satisfaction as our driving force, we offer full installation and repair services across Scarborough. Our garage door repair technicians team maintain their strict professionalism through continued industry education. No one plans to have their garage door malfunction. So, to help ease the stress of having your garage door repaired or replaced, we’ll work hard to get the job done as fast as possible while still providing expert-level service. Each of our trucks is equipped with the high-quality parts and tools needed to fix your garage door system, plus our emergency garage door repair service ensures that you get the repairs you need right when you need them. Easy Fix Garage Door Repair Scarborough has been providing our award winning garage door services to the entire area of Scarborough for the better part of 15 years. Our team of skilled 24/7 emergency garage door repair technicians are on call 24 hours a day 7 days a week ready to arrive at a moment's notice to your location in their mobile service units filled to the brim with all the tools and parts needed to get right to work. From installing a brand-new garage door to repairing the springs on your existing door. When it comes to the services required for your garage door to stay up and running the way it should the only number you will need to call is Easy Fix Scarborough Garage Door Repair. Is your garage door opener noisy or shaky? Or won’t properly open or close? Most often that’s the result of a broken garage door spring, worn rollers, or misaligned tracks. Due to the high tension, replacing springs and rollers is hazardous if you don’t know exactly what you’re doing. So, count on our garage door repair experts to do the job safely. Covering all types of mechanisms like belt, screw, chain, and direct, Scarborough Garage Door Repair is expert in all types of garage door repairs. That includes motors, batteries, and remotes as well. Sometimes what seems like a big problem only takes an adjustment or replacing a sensor to put everything back in action. We’re ready for emergency service 24 hours a day, anywhere in the Scarborough area. With experienced garage door repair technicians and well-stocked trucks, we’ll set things right quickly and affordably. We will make sure we personally tailor your services to fit your specific needs as well as the needs of your garage door. If you're ready to leave your overhead garage door repair in the hands of professionals, call Scarborough Garage Door Repair. Feel free to contact us today to receive answers to your questions or to schedule a time for us to repair your garage door. 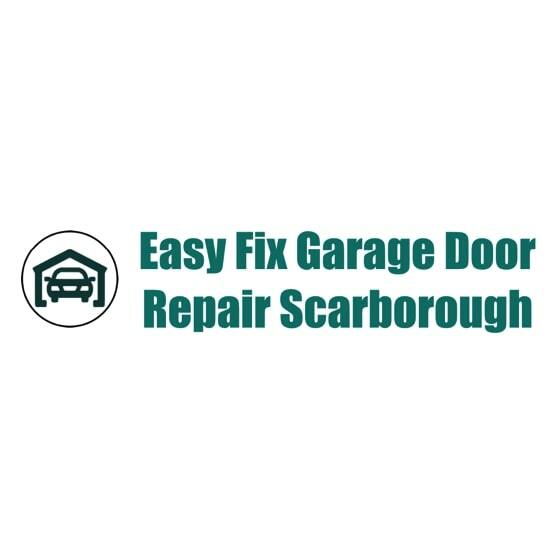 Regardless of the type of garage door repair service you require you can be sure that when you hire our team of skilled emergency garage door repair technicians here at Easy Fix Garage Door Repair Scarborough you are going to receive the very best level of service no matter how big or small the repair work needed is. From repairing a broken garage door opener remote, repairing a broken garage door spring or repairing the bent garage door panels keeping your door from closing. There is nothing our team cannot handle, arriving in their mobile service units filled to the brim with all the tools and parts they will need to show you why we are the go to garage door repair team in Scarborough. Whenever our garage door repair and replacement technicians comes out to your location, they’ll first thoroughly inspect your garage door to see what needs to be done, whether it be replacing rollers, cables, springs or simply fixing a noisy garage door. They’ll also make sure to stay in constant communication with you, so you understand what’s going on and so that you’re clear on the terminology when it comes to garage door models and materials. Make sure to call us the next time you need a professional and quality residential garage door repair services. When you need a garage door service company, look no further than Easy Fix Garage Door Repair in Scarborough.